This recipe is simple to make and a great way to use your favorite store bought bread. I used French Bread from Rouses’s Supermarket, it’s one of my family’s favorite breads. Now just because I am using tomatoes, I am not going to lie to you and tell you this recipe is healthy. I can tell you it’s pretty darn delicious! Slice the loaf of French Bread using a bread knife down the center like the above picture. Melt butter in small bowl in microwave until fully melted. Remove butter from microwave, pour butter into a food processor (I used a small food chopper) add 1/4 cup fresh rinsed and dried parsley , peel garlic clove then add it to the butter. Blend all the ingredients together until they’re finely chopped and mixed together. Pour the butter mixture into a small bowl, using a basting brush carefully brush the top and bottom side of the bread. Place the bread cut side up onto a baking sheet. Sprinkle the Mozzarella cheese on top, then sprinkle half of the Parmesan cheese on top. Place the bread in the oven for 5 minutes. While the bread is in the oven. Rinse, dry, and thinly slice the tomatoes (see below picture) . Once you slice your tomatoes lay them down on a plate . Drizzle one side of the tomatoes with the Olive Oil then sprinkle on salt and pepper to your liking. When the bread is finished baking carefully remove the baking pan from the oven and set down on a flat surface. (Leave oven on) Place the tomatoes on top of the baked bread . Sprinkle the remaining Parmesan Cheese on top of the tomatoes. Next, evenly spread the remaining parsley on top of the cheese and tomatoes. 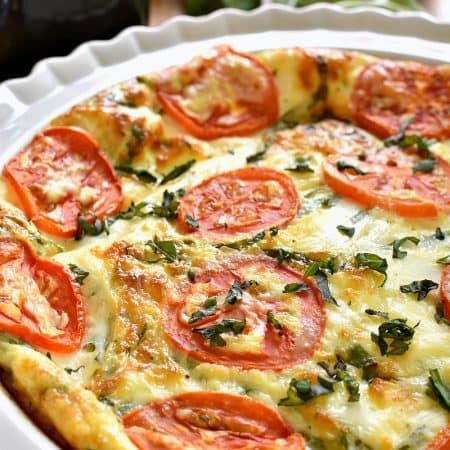 Bake for 12-15 minutes in the oven on 400 degrees until cheese is melted and the tomatoes are cooked all the way through. Remove the baking pan from the oven and let cool for 5 minutes. Slice and serve! You can eat the Caprese Bread alone or serve it with your favorite meal.